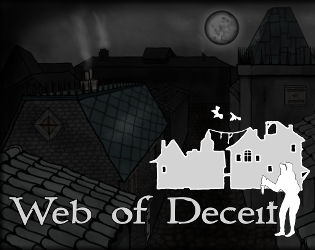 Web of Deceit is a rogue-lite of deception and stealth in a Machiavellian renaissance setting. 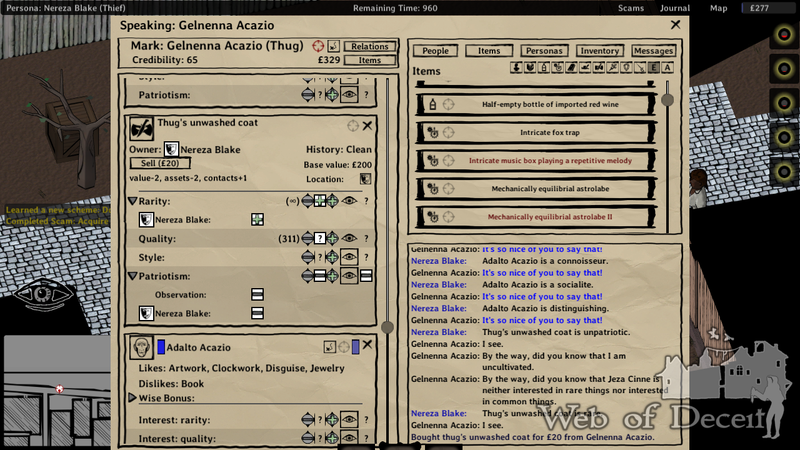 In this game you play as Nereza Blake, a con artist and burglar, in a procedurally generated renaissance city. You complete scams in order to make money to pay off your debt to the local crime lord Capa Boccini, before he comes for your hide. To achieve your goals, use social deception or stealthy burglary. In social deception you can craft new false identities for yourself and dupe your mark by lying about the properties of items and citizens. NPCs communicate with each other and propagate their knowledge (as well as false information that they have been fed). Avoid getting caught with a lie before you are done with the mark. Alternatively, sneak into your victim's house and take what you want. 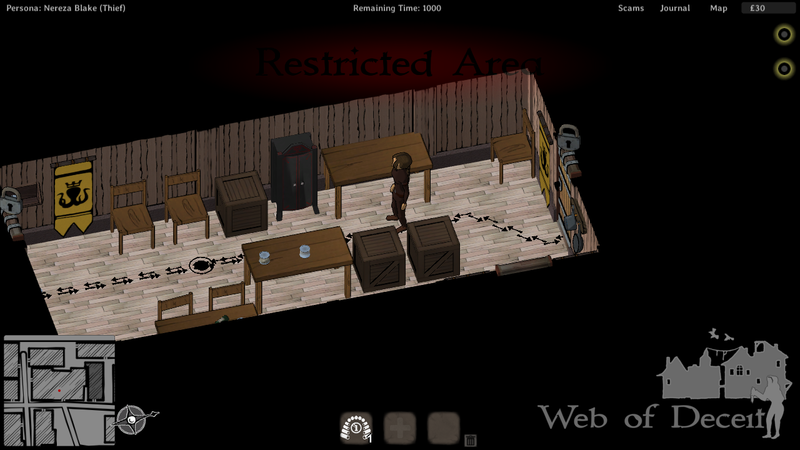 Fighting the guards is not an option for Nereza - you have to rely on careful hiding and nimble stealth. Eventually each con will inevitably start to crumble and angry citizens will be out for your blood. Be ready to escape into a new identity before you are trapped in your web. ... or just sneak into their houses and steal their stuff. Looks great, I like the art style. Thanks for sharing, I added it to my interesting games collection.